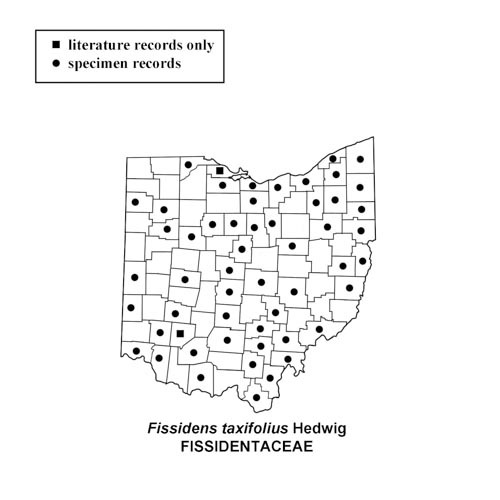 Fissidens taxifolius in a wooded ravine in Cuyahoga County, Ohio. Fissidens taxifolius in a wooded ravine at Batelle Darby Metro Park, Franklin County, Ohio. November 9, 2014. Batelle Darby Metro Park. November 9, 2014. 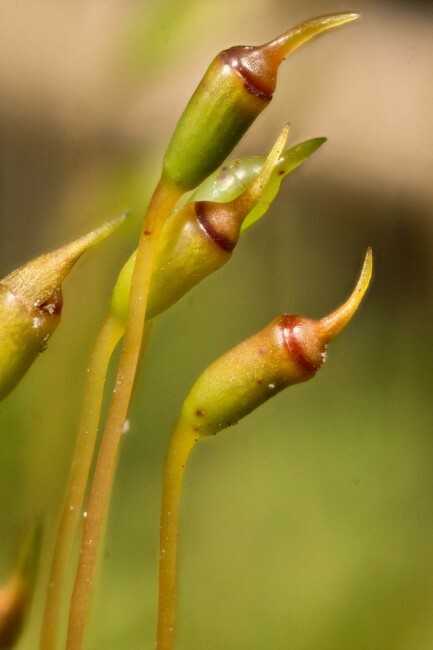 Fissidens taxifolius at Buzzardroost Rock, Adsams County, Ohio. October 4, 2014. 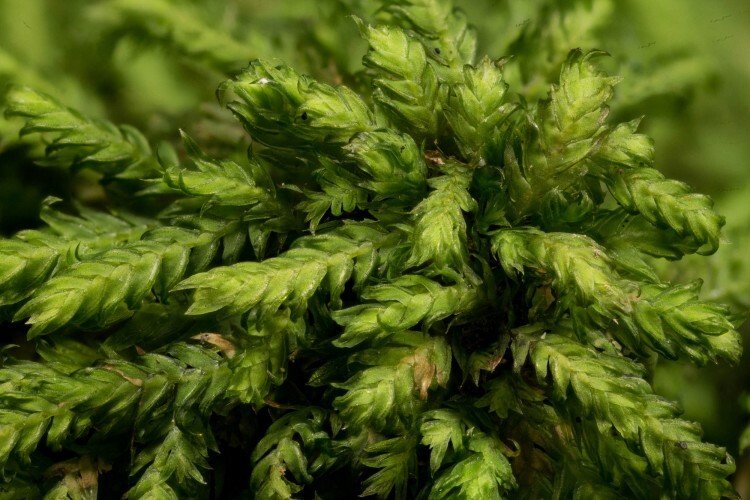 How to recognize Fissidens taxifolius: The fork mosses (genus Fissidens) are among the most distinctive of all bryophytes. 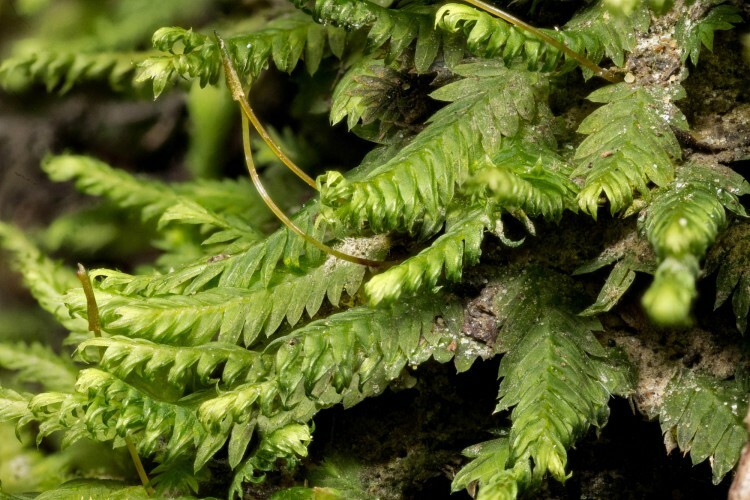 Fissidens leaves, instead of being arranged in the typical tight spiral fashion, are strictly two-ranked. Moreover, the base of each leaf is split lengthwise, and forms two flap-like extensions that clasp the base of the leaf above it. This configuration, as it is reminiscent of the manner in which an equestrian’s legs clasp the horse being ridden, is termed “equitant.” The species taxifolius is fairly robust, and its leaves end in a prominent projecting tip, the extension of the midrib (costa). 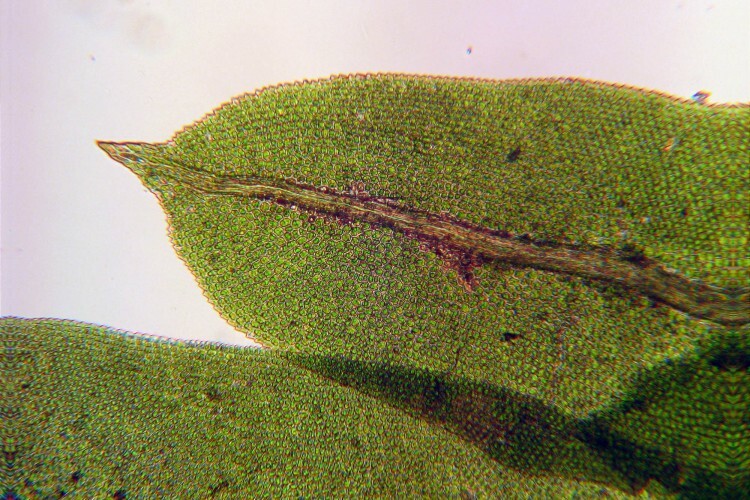 The leaf margin is crenulate and sometimes toothed toward the leaf tip, and the leaf cells are strongly mammillose and bulging. 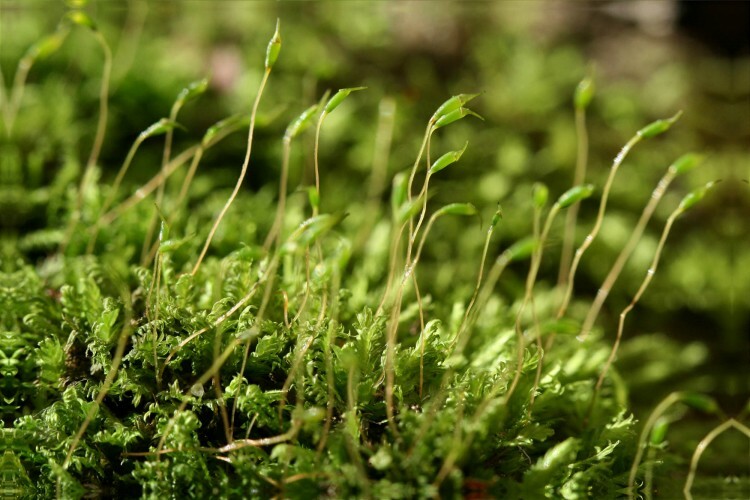 Where to find Fissidens taxifolius: Yew-leaved fork moss is an especially common and widespread moss, found on bare soil in wooded areas.